“The arrest of two Chin refugees who voluntarily return from Malaysia at Yangon International Airport arise the uncertainty of the safe return of refugees and the future of Chin refugees in Malaysia and India become darkened and vague”. After the uprising of 1988 and under the Burmese military junta’s along lay oppression, many Chin people fled the country to seek shelter in the neighboring countries in order to escape from forced labour, poverty, persecution and insecure life. 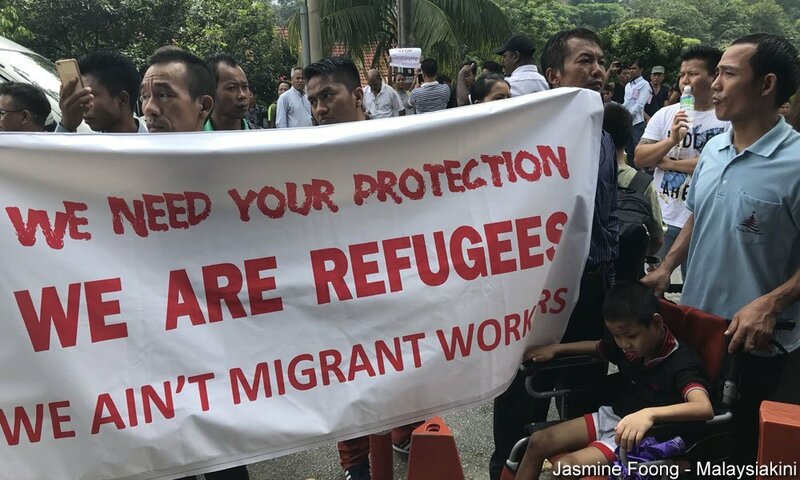 From 2013, the United Nations High Commissioner for Refugees (UNHCR) introduced its new policy on refugee protection over Chin refugees and has put many unprecedented impacts to many Chins who take refuge in Malaysia and India. On 19 June 2018, the UNHCR released a statement deciding to stop its protection of the Chin people as refugees by the end of 2019. As a result, most of them become hopeless and have to seek various ways to return to their motherlands without proper consultation but by brokers. On 10 June 2018, Salai Van Ceu Thawng (28 years) and Mai Om Luun were arrested by the authority upon their arrival from Malaysia at Yangon International Airport. Father of Salai Van Ceu Thawng told The Chinland Post that he is not known of the reason and case his son was arrested on the return. “My son arrived in Malaysia to settle and seek protection under UNHCR as a refugee in February 2012. Before he returned back, he told me that his UNHCR card has already expired and there’s no hope in waiting for further protection under UNHCR. Under the arrangement of Malaysia brokers, he arrived on 10 June 2018 at Yangon International Airport where he was arrested along with his friend by Myanmar authorities. I wonder why they were arrested after being landed in Myanmar. 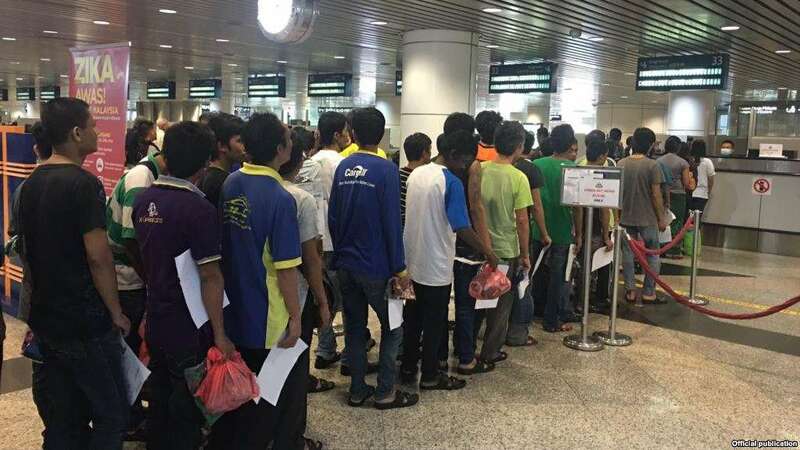 I can’t completely understand what happens with police and immigration office in Myanmar since they could pass Immigration office in Malaysia without any problem. What surprised me more is that a pregnant woman who arrived along with them was excused on the basis of being pregnant,” he said. “We have received appointments for trials for 4 times on 26 June, 9 July, 2 August and 12 August after he got arrested. But the prosecutor from Immigration office never appears at court except on 9 July. The immigration office knows our appointment as the days is fixed for trial. It’s not easy to go to court almost every week for a poor family. We hope the authority will solve our cause with justice and release them soon” added Father of the detainee. A renowned Chin lawyer, U Ngai Sak who voluntarily helps the detained Chin refugees said that the Government and Chin National Front (CNF), a signature member of Nationwide Ceasefire Agreement (NCA) should consider for the Chin refugee who returns voluntarily to avoid harm, possible prosecution and the problem for dignified return. “Regarding the case of Salai Van Ceu Thawng and his friend, it is impossible to release on bail under the laws being charged. One is the Immigration Law Section 13 (1) which related to deception section (471, 468 and 420). It is just the beginning and the court will take legal action. In my opinion, this case is not only related to one person and might cause the problem with all Chin refugees who return voluntarily in the future. The Chin National Front (CNF) should take action for the voluntary returnee with the Union Government and State Counsellor through consultation means for their safety and dignified return. I heard that Dr. Lian Hmung Sakhong of CNF Vice President would consult with the Government. Regarding the immigration office, it is possible that they didn’t receive the appointment letter from the court and on the other hand, they were busy at that time. Now, the trial appointment is on 17 August, the result will be known on that day. It is crucial to impart the issues to the state government as well ” U Ngai Sak explained in the interview with The Chinland Post. On 13 August 2018, a lawyer U Ngai Sak wrote on social media saying, if UNHCR does not access a review on the decision for Chin Refugees, the legal action is more likely to affect Chin refugees when they return to Myanmar. The impact might affect not only Chin refugees from Malaysia and India but also Chin people who already resettled in first countries. He urges UNHCR to review its decision on the protection policy of Chin Refugees and its consequences in the future. U Ngai Sak further explained, “Anyone leaving abroad with official permits such as work visa, student visa and others can return safely. However, those with fake and fraud passport might face sentenced according to Myanmar’s recent Immigration (Provisions) Act, 1947, Section 13 (1). The verdict under this law could be 5 years’ imprisonment and doesn’t allow releasing anyone on bail according to the Criminal code supplementary table (2). It is important to be watchful for working with brokers and agents as refugees could be exploited for money. Holding fake passport could find them take legal action under the Penal Code Section 420, 468, 471. There are many more existing laws that might harm Chin refugees who return voluntarily if they lack the proper understanding of the situation in Myanmar. Therefore, my humble reminder is to consider the situation and to consult with people who know the ground reality”. Father of refugee detainee further said, “When he signed, it did not mean that he completely understand the paper. When refugees are welcomed to come back, the laws are not for protection but to detain them. The new government’s slogan, ‘time to change’, has lost its meaning. It is completely the same with dictatorship regime”. “It is only the Union Government that can guarantee Chin refugees, to give them accommodation and their settlement upon their returns. We cannot support for their basic livelihood except for the arrangement land-form their settlement. 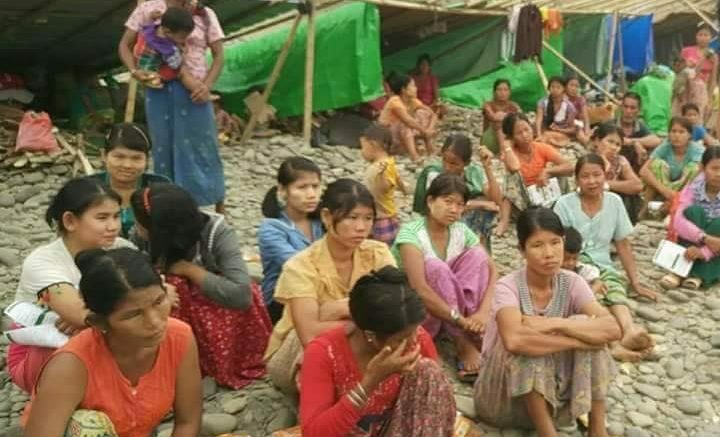 The Chin State government has not involved in the decision of UNHCR and also it is not in our position to ask Chin refugees to return and to intervene in their issues” said Pau Lun Min Thang, Minister of Social Affairs of the Chin State government. According to the Star of Malaysian News, as of May this year, there are some 157,580 refugees and asylum seekers registered under UNHCR in Malaysia out of which 31,150 are Chin. There also about 5000 Chin refugees in Delhi, India. Dear editor, I am Marianne, a youth worker with a Christian NGO in Malaysia and in previous years, I have been involved in work amongst the Chin refugee schools in Malaysia – particularly with the Chin Students’ Organization (CSO). With the recent announcement of made by UNHCR to withdraw protection for Chin refugees in Malaysia, I have been thinking/working on ways to help increase awareness of the Malaysian Christian community on this issue, so that they can be supporting the Chin refugees in Malaysia – including highlighting the plight of the Chin refugees in Malaysia via a Christian radio podcast program which will be recorded next week featuring one of my former students who is a Chin refugee. Is there anyone from the Chinland post I could possibly contact to meet and speak on this further? I would like to understand better how the UNHCR’s decision would impact the Chins in Malaysia so that these can be highlighted to the Malaysian Christian community. I’ve only heard stories from my former Chin students and have read articles on this matter, but would like to have a better understanding on this matter. Would appreciate any help in terms of contact persons I can be speaking to on this. Thank you. thank you for your contact and information. Please could you contact Mr. Lian, our editor via salailian89@gmail.com . I think he can explain well as he is following this issue. Thank you for the email contact. Will do so.